As any Katy dog owner will tell you, walking and exercising your dog is one of the most important responsibilities there is. The simple fact of the matter is that failing to address your dog’s cardiovascular needs is not just irresponsible but also bordering on negligent. Dogs, unlike humans, need enough walking, running, jumping and other exercises each day to ensure that their physical and emotional well-being is maintained. Unfortunately, despite even the best intentions of the most conscientious dog owners, it is not always possible to find the time to provide your dog with the two or three sessions of exercise needed on a daily basis. Thankfully, help is at hand. With years of experience in the group and solo dog walking business, there is very little that the expert team at Fireplug Bed & Bath doesn’t know about this important task. We have clients across Katy and we are immensely proud of the positive reputation we have earned as one of the leading dog walking companies in the area. So, whether you are facing a busy month at work, feeling under the weather or simply no longer in a position to walk your dog every day, then call us. We will ensure that your dog will receive the most advanced and reliable walking experience that will not be rivalled. Call today to schedule an appointment or to learn more about our competitive prices. Like humans, no two dogs are the same. Some will be more suited to group dog walking sessions, while others will do better in a solo environment. 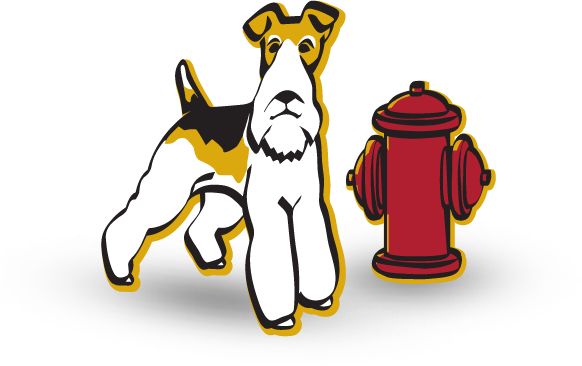 At Fireplug Bed & Bath, we embrace the individuality of each dog we work with and that is why our unrivalled dog walking service is such a hit in Katy. When it comes to group dog walking sessions, we tend to find that dogs who are outgoing, sociable and usually not too young or too old are best suited to this form of exercise. The advantages of group dog walking sessions are that your dog will get the chance to interact with other dogs as well as ample exploration time, as most dogs like to stop and check out their surroundings even when they are familiar with them! Undoubtedly, the biggest benefit that your dog will receive from a solo dog walking experience is the specialized one-on-one attention that will ensure he or she is the sole focus of the activity. This focused approach allows our dog walkers to tailor the walking route’s distance and difficulty depending on the specific exercise that your dog requires. So, if you have a rambunctious young puppy then they may opt for a longer and challenging walk through the park. While if your dog is older and calmer, then a gentle stroll around the block might just be enough.